Refractory Brick Cutting Machine is used for cutting the bricks and tiles with the help of sharp saws inbuilt in it. Meta Therm Furnace Pvt. Ltd is one of the trustworthy Refractory Brick Cutting Machine Manufacturers in Mumbai that you can contact to buy different models and configurations as needed. We are loaded with the right resources and technologies, which give us the capability to meet that huge demand in a fixed time frame. 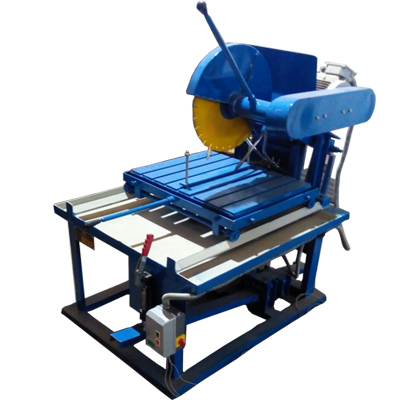 Sharp Blades: This Brick Cutting Machine has sharp blades, which eases the process of cutting bricks or tiles in different shapes and sizes. Require Low Upkeep: The use of Refractory Brick Cutter eases the process and the best part is the machine requires low maintenance because of the use of the right technology and component. Ensure Huge Saving On Operating Cost: With this machine, you need to spend half amount on the manpower, and it doubles the productivity for sure, which ensure great saving and better profits. Being one of the prominent Refractory Brick Cutting Machinery Exporters and Suppliers in India, we also guarantee timely delivery of the products and the best customer support. Enquire more directly from the website.